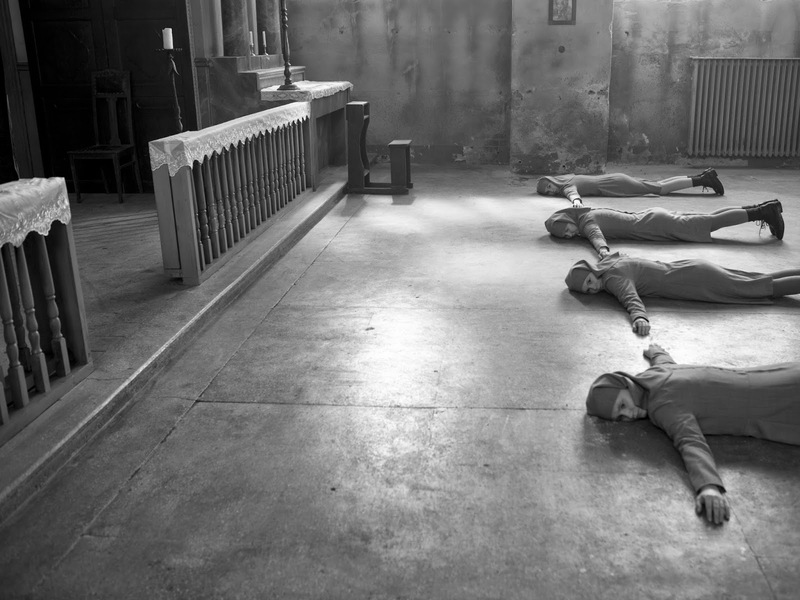 It's almost difficult to watch Ida and understand it as a contemporary work. It feels at all times like a first look at a lost treasure, like a salvaged print from some unknown master. That Ida is a film produced last year, that it's the work of the rather un-prolific Polish filmmaker Pawel Pawlikowki (of My Summer of Love and Woman in the Fifth) seems almost impossible. If you'd shown me this film without introduction, I'd have tremendous difficulty carbon dating it. Ida bears the mark of Bresson in its black and white austerity, in its use of faces. It has DNA pulling from quieter moments in French and Czech New Wave. At times, it's starkly neo-realist. That it's set in 1960s Poland tells us nothing, as the film's relationship to the pasts and presents of its characters is always emotionally immediate. While I'm sure there are plenty of marks that would read as temporally incongruous, if you told me Ida was from 1967, I might buy it. What I'm saying is that somehow the experience of watching Ida is one of viewing an artwork out of time. There's something of it that makes you conscious of the difference between experiencing a work you understand as 'new' and one you approach as a sort of pre-ordained, already canonized work of 'classic' cinema. Ida feels like it's already a classic. If that seems like high praise, sure. It is. 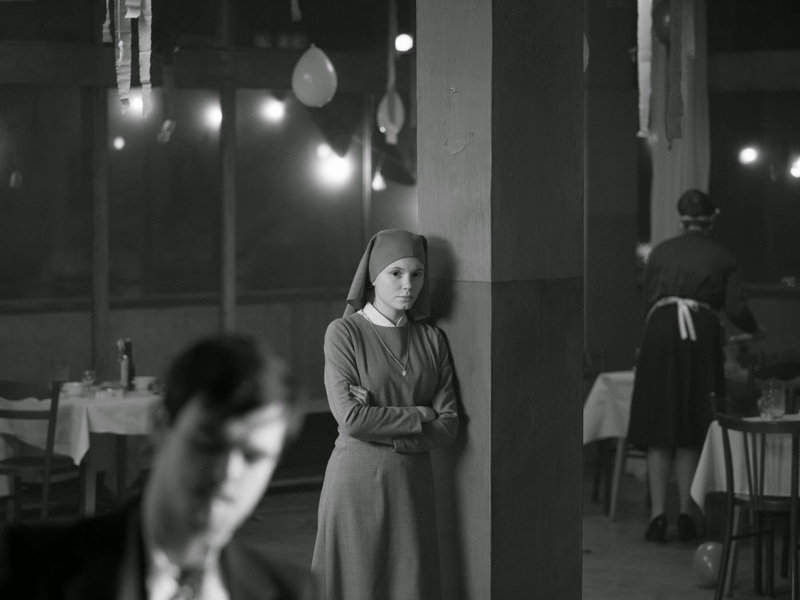 Ida is a work beautiful in its austerity, and one that opens worlds and spaces in the same instant that it crushes them and draws you into a sort of claustrophobia. The walls of buildings engulf the characters, pushing them into the lower half of the screen, and the cinematography is hellbent on a pleasing asymmetry; we scan the textures of grey walls as our eyes are drawn to the faces of Anna (Agata Trzebuchowska) and Wanda (Agata Kulesza). It's a film where the necessity of Pawlikowski's use of black and white is immediately apparent; it's visual metaphor, a key component of the aesthetic, a way of placing the art in a tradition. Black and white in a film preoccupied by contrasts. It's just right. So much of Ida, too, is so right. We follow Anna, a novice nun, as she's sent away by the mother superior to visit her only living relative, an aunt she didn't know she had named Wanda. She's told to take as much time as she needs, and in this we understand that Anna is walking into something larger. Trzebuchowska's face is the perfect mask, the perfect placid surface for close-ups. She's at once detached and searching, reading each new piece of information Wanda reveals about her past without knowing the right reaction. She's meditative and calm where Wanda, as it turns out, is volcanic. Kulesza's Wanda is brilliantly vicious, a hard-drinking, chain-smoking woman with a jaded outlook befitting a lifetime of tragedies and disappointment. When Anna goes to her, the film becomes a somber road movie as the mismatched duo seeks the truth of their shared past in WWII. Their journey is slow, ponderous, and marked by an elegance that - as mentioned- allows the film to read as somehow so consistent it's near flawless. Ida is a great film, no doubt. Weirdly, though, that sense of its timelessness, of its classic-ness before and after the fact is also what makes it occasionally seem a little colder than it perhaps should. At all times, it feels self-aware, wholly conscious of appearances and the way it will be read as an aesthetic object. There's something almost too studied about the approach to the story, and the effect of its assimilation into a long line of arthouse classics kinda interferes with the way it's read on a first viewing. Where with a brand new film there's something of the untraveled, watching Ida feels less like a process of discovery and more like you're settling in and getting ready to fill in a part of your cinematic education. Here I should probably clarify: it's not that the movie feels like a lesson, it's just that it felt like after watching it I'd essentially be answering a question of its merit. Worth the hype? Worth the status? Or, not worth the hype? It's like sitting down to see Breathless or Seven Samurai for the first time while knowing how important they are. As I watched Ida I felt like I was appraising it in a different way, like I was checking it off a list of movies to see before I die. I don't know what to call that, but it's here. In this case, Ida just happens to also be a movie worth seeing.